What Are The Best Albums By The Who? 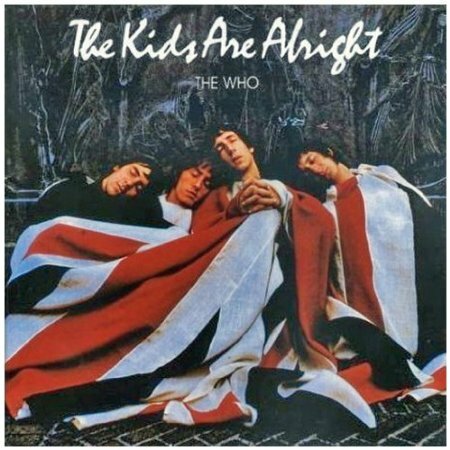 This page has readers polls to find the best live album by The Who and the best studio album by The Who. What Is The Best Live Album By The Who? It may seem like an obvious question but what do you think is the best live album by The Who? 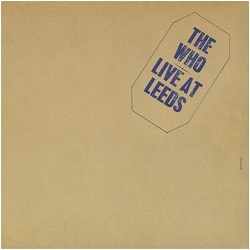 Do you agree with the critics that Live At Leeds is the one album to buy if you want to hear The Who live and at their best? Or do you think it’s a more unusual choice like Who’s Last? I’ve created a short poll so please vote and we can find out the best Who live albums and DVDs. Is anyone remotely surprised by the news that one album romped away with the top place? The Who Live At Leeds was voted in by 82% of the voters. This is one of the most famous live albums ever released by anyone and was the first live album I ever bought. 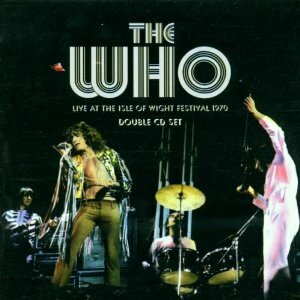 In a distant second place is another live recording from 1970 with virtually the same setlist Live At The Isle Of Wight. 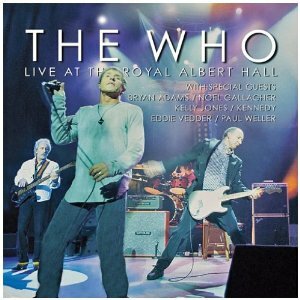 In equal third is the first of the live compilations issued by the band The Kids Are Alright and the guest filled charity gig for three Teenage Cancer Trust in 2000 called The Who Live At The Royal Albert Hall. Further down are two albums I really enjoy although both come from the time after Keith Moon. First is the hard to find Blues To The Bush from 1999 and the second is the Las Vegas style of Join Together from 1989. Is The Best Who Live Album Still In The Vaults? I love Live At Leeds to bits but I have this nagging feeling that my perfect live album by The Who is still locked away in the vaults. We’ve seen plenty of compilation live releases like The Kids Are Alright and Greatest Hits Live so we know that many more concerts were recorded. I want to hear The Who live in 1973 to 1976 when they can draw upon the songs from Who’s Next, Quadrophenia and to a lesser extent The Who By Numbers. This seems to lead me on naturally to my next point. There is a link in time between the best live albums and the best studio albums. What Are The Best Studio Albums By The Who? What Are The Two Best Studio Albums By The Who? I’m not at all surprised by Who”s Next and Quadrophenia leading the studio albums poll. This underlines my point that there should be a really great album from the 1973 to 1975 in the vaults. I believe The Who Live At Leeds is too heavy for the classic rock genre but it gets plenty of support in the hard rock poll. We don’t have a truly great live album with the CSI anthems of Who Are You, Won’t Get Fooled Again and Baba O’Reilly. This entry was posted in Best Live Album Polls and tagged The Who live albums by Paul Simister. Bookmark the permalink.